Ha. Thanks to Betty, my Punmaster neighbor, for the title. 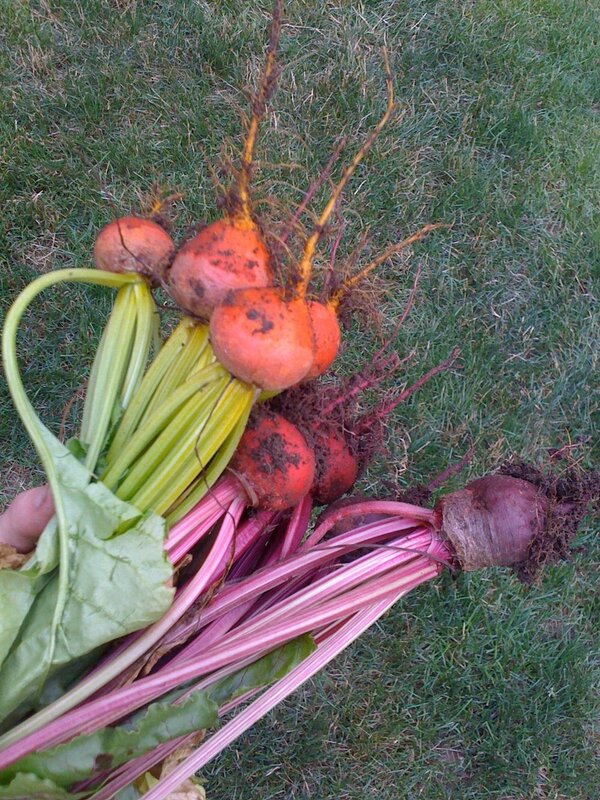 The beet crop hath indeed arrived: Golden, Chiogga and Detroit Reds. I really only like beets two ways: roasted most of all, and pickled a very distant second. I don't like canned beets, and I don't like borscht (which annoys me because I hear great things about it. It seems like something I should like, but I just don't). As I posted once before, Croton Creek does an amazing salad with golden beets, heirloom tomatoes and gorgonzola. I've tried replicating it several times but can't quite match it, I think they put crack in theirs or something. But the other day I teamed up some thyme-roasted beets with arugula and gorgonzola and it was out of this world. And the most satisfying thing was that everything except the cheese came from my garden. Preheat oven to 375. Scrub and trim the root and stem ends from the beets. Peel if you're obsessive (I am). Cut in half lengthwise, and then each half into 3 wedges. Put beets in bowl with thyme stems, drizzle with olive oil, sprinkle with kosher salt and ground pepper, toss well. Lay out a sheet of aluminum foil. Dump the beets into the center and fold up the sides to make a packet. Roast for 30-40 minutes until fork tender. Remove packet from oven and leave open to cool. Pick out thyme stems and discard. Put the arugula into a salad bowl. 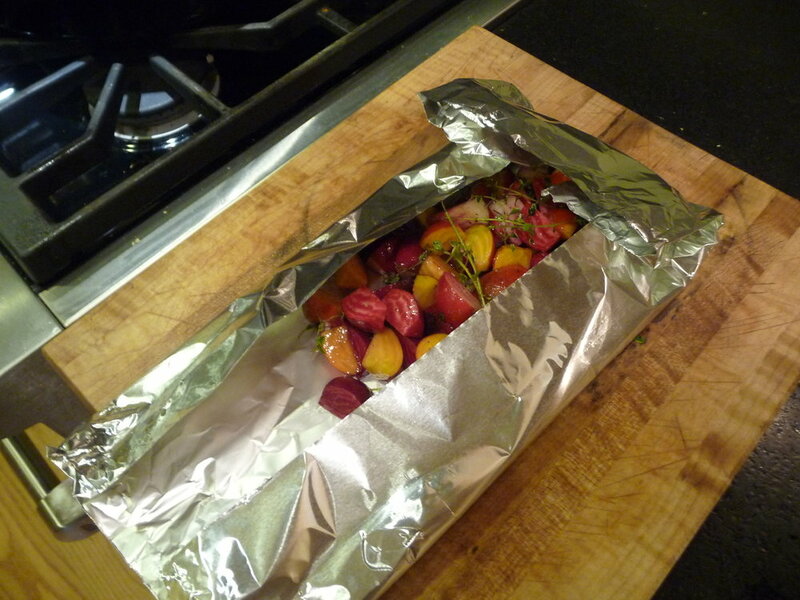 Dump in the contents of the foil packet—beets, oil, and bits of herbs, scrape it all in there. Add Gorgonzola and toss well.